CEDAR CITY (AP) — Most mornings, wildlife biologist Jessica Van Woeart and her team go to work armed with peanut butter. 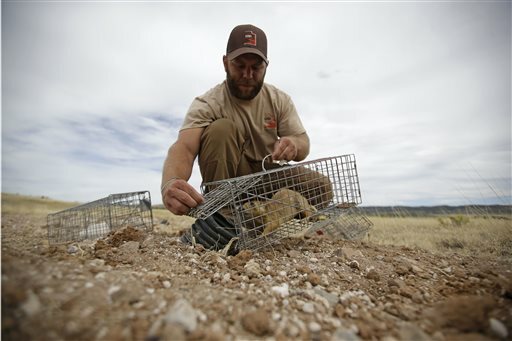 Van Woeart’s team is doing something that was relatively rare and complicated until last year, when a federal court judge removed endangered species protections for the Utah prairie dog. Activists say the ruling could also weaken protections for similar animals all over the country, and on Monday it will come before a federal appeals court in Denver. But the animals felt anything but rare to locals who chafed under federal rules that kept any moving or trapping of prairie dogs to a minimum. “They’re really cute little things, but they really cause so much damage,” said Sharon Peterson, a Cedar City resident whose backyard used to look like a sea of the little squirrel-like creatures. In 2013, a group of residents sued in federal court. 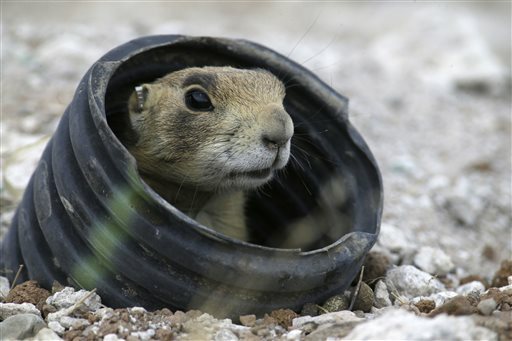 After U.S. District Judge Dee Benson’s ruling, the ranks of prairie dogs near Peterson’s house receded under the state’s new trapping program. They check them every hour or so, and they’re usually not disappointed. Some days, they catch more than 100. After they’re caught, the creatures are weighed, tagged and then loaded into the back of a pickup truck for an hour-long drive over hills covered with sage and yellow grasses. On a recent day, the brown-eyed animals nibble on bits of zucchini or sound their distinctive, clicking bark to their new neighbors on public land about 25 miles outside of Cedar City. It’s different than the suburban burrows they’ve left behind, higher and drier, with different food and predators. They’ve caught about 2,500 animals so far this summer, turning them loose in a series of similar sites. The workers leave food and water and try to keep the highly social animals together to ease the transition, but many of them won’t survive in the new environment. 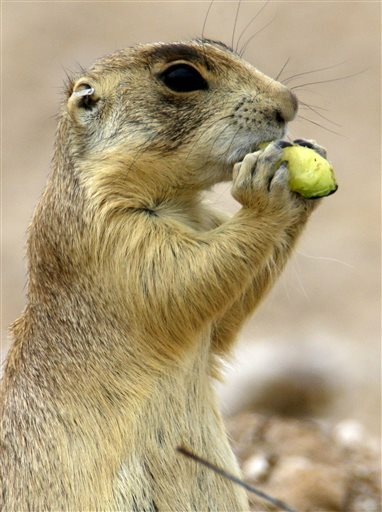 After a year, just 10 to 15 percent of the creatures typically remain at the relocation sites, said Keith Day, a state wildlife biologist who oversees the prairie dog program. Though some leave, many die. “When you pick an animal up out of its natural setting and you move it to a new location … you can expect a fairly high mortality rate,” Day said. Still, he said that trapping an animal and moving it is better than the lethal methods that fed-up locals used to employ off-the-books while federal rules held sway. Wow. looks like REAL LIFE just got relocated. If they start transplanting skunks you better head out ahead of them, your odor will betray you. Well at least with that odor around it will be like being home for you eh.? Hey Dumpster, lay off the meds. You are repeating yourself.